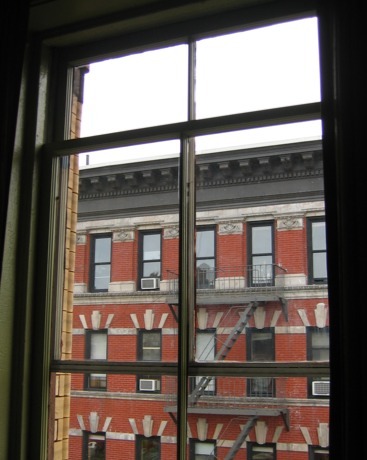 Nothing makes an apartment feel fresher and Spring-cleanier than clean windows. It’s such a mood enhancer. You probably can’t appreciate the true beauty of them from web pictures. See how clear the building across the street is?? 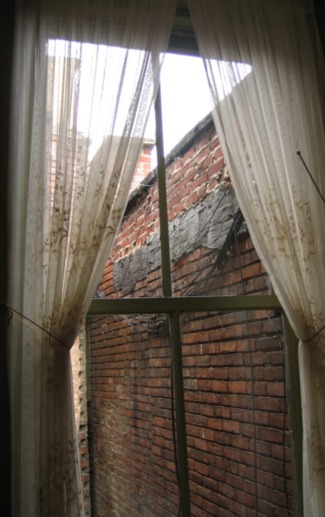 And my view of … well, bricks? You can really see those bricks! this comment is actually about the Sodder children. There were more then 5 children in the family , but only the 5 disapeared. My friend is the granddaughter of one of the surving children. She has told me that when she asks her grandfather about the missing children all he says is that they arent missing and they did not die. The family (except for the mother) knows where they are and that it should just be left alone. The sign was taken down after the mother died and the house was sold. Lisa, that’s very interesting. I went to West Virginia and interviewed some of the family, including the youngest surviving child from the fire and her daughter. They told about one of the children who refuses to talk about it — I wonder if that’s the one you’re talking about? I wish we could talk. The family I spoke to don’t know this, or didn’t at the time. They are currently in the process of arranging to dig up the site of the fire. They got permission from the family that lives there now. It would nice if they could learn the truth and not go through all that.